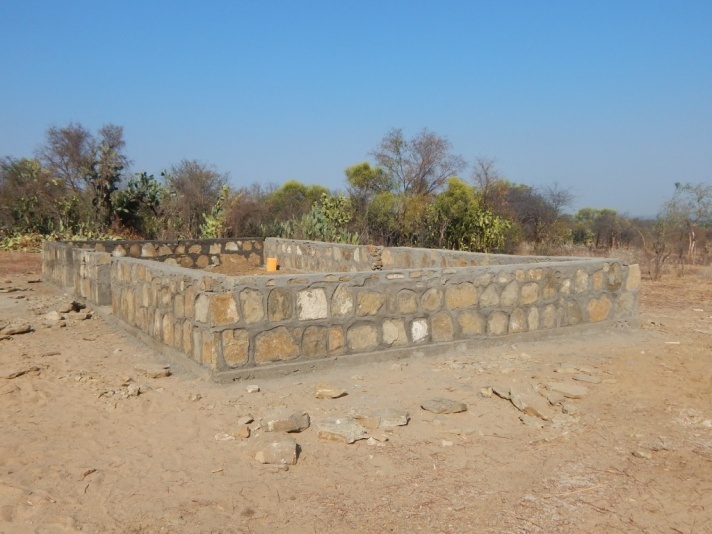 Foundations have been laid, and piles of sand and rocks sit waiting to be incorporated into the walls of the new school for the children of Bejio. 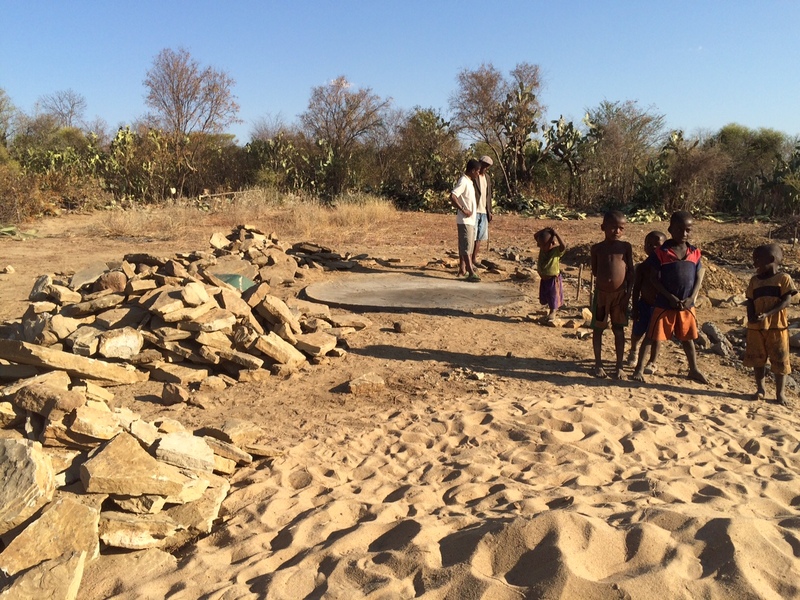 In the middle of the village, stacked bags of cement are exciting evidence of the project underway on its outskirts. The school will have two classrooms, and is designed to accommodate all 90 or so children of primary-school age in Bejio and nearby hamlets. 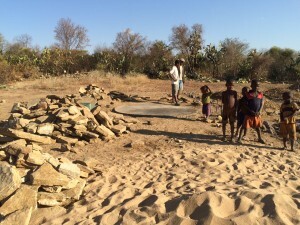 A formal, three-way agreement between the villagers in the Fokontany of Bejio, ESSA, and Madagascar National Parks spells out the contributions each is making toward the project. It is expected that construction will be completed by November. The whole project is made possible by a generous gift from Morgan Davies, who visited Beza Mahafaly as a student at the School for International Training in 2007.